Everything you need to know about Real Estate can be found in the first twelve minutes of Atlas, a three song sequence that reads like an ad in the personals: Young Brooklyn-based Indie Pop Band Crafts Masterfully Tight Hooks With Shimmering, Chiming, Dreamy Guitars. Done. They make it easy. There’s little point of going any further with the aural adjectives (although I’ll try) since any writer attempting to describe how Real Estate sounds is like a meteorologist trying to explain how the weather feels. No matter what kind of creative license you employ while reporting on the rain, sun, snow, or clouds, the standard descriptors often come up short. To truly experience the elements, you have to step outside. But what’s most revealing about that opening triad is not the who, where, what or how, but the why — the thing that said Young Brooklyn-based Indie Pop Band is seeking. “Had to Hear” is a yearning call to an estranged lover that evokes the Lemonheads’ cheery jangle and Galaxie 500′s wistful melancholy; lead singer Martin Courtney reduces himself to a “reflection in chrome,” sounding neither particularly surprised nor disappointed by the realization. “Past Lives” finds the 28-year old pining for years he can’t get back over a rainy day, 60′s-pop melody: “I cannot come back to this neighborhood / Without feeling my old age.” Finally, on “Talking Backwards,” Courtney concedes with shrugging detachment: “I might as well be talking backwards / Am I making any sense to you? / And the only thing that really matters / Is the one thing I can’t seem to do” over an infinitely hummable melody that picks up right where “It’s Real” from 2011′s Days left off. With this track Courtney has essentially taken the baton from himself in the sprint to write the young decade’s best pop song. The muse for Real Estate’s melancholy is evident — a sense of feeling like you’re not all there, of being one step removed from your surroundings, of being unable to express what needs to be expressed — and it’s never sounded quite so lovely. Atlas is an album rendered in passive tense. It describes a world where we don’t see or experience things; rather, things are seen and experienced by us. And that is a exquisite sensation in Real Estate’s capable hands. Lead guitarist Matt Mondanile’s sublime fret work possesses that distinct, immaculate tone that’s reminiscent of a select few sound architects — Johnny Marr, John Squire, Dean Wareham — guitarists whose chords felt ordinary in the hands of others, but in theirs could bestow unadulterated joy and unbearable sadness, sometimes simultaneously. Bassist Alex Bleeker and drummer Jackson Pollis remain a capable yet understated rhythm section, their sprightly back beat lifting numbers like “Crime” and “Talking Backwards” without overshadowing them. Real Estate’s sound feels canonical — not in a sense that you’ve heard this all before, but in a sense that indie pop just doesn’t get much purer. That purity lends disarming weight to Courtney’s missives: “I stare at the hands on the clock / I’m still waiting for them stop.” Atlas captures a magnificent sense of those minutes ticking by, of opportunities missed, of trying desperately to make sense of it all before it’s too late. “I have no idea where the days went” are the album’s last words. Courtney’s lulling (and still underrated) tenor remains an integral part of that longing atmosphere. The moments where Atlas stumbles are when Courtney steps away — the seemingly obligatory Mondanile instrumental “April’s Song” and Bleeker-penned “How Might I Live” which features the bassist on lead vocals and has the feel of that one track on every Belle & Sebastian album where Murdoch decides to let Stevie Jackson sing. Critics who faulted Days for it’s repetitious beauty will find more variations (albeit subtle ones) in Real Estate’s third album — the bucolic country twang of “Primitive” or the tempo drop at the conclusion of “The Bend” where Mondanile’s reverb-drenched notes peal out like fireflies carving trails across the dusky sky. Where Days‘ brightly-colored sounds felt lovingly smudged at the edges, those same elements are meticulously arranged on Atlas like intricate latticework — you see the same hues from a distance, but up close the songs are more textured, spacious, and enduring. For all of Courtney’s emotional otherness and the sonic latitude that Real Estate plays with, Atlas is not about how to disappear completely. The album has an unmistakable sense of being present, not just in spite of your infinitesimalness but because of it. It’s about realizing you’re part of a grander, more complex pattern, and discovering how to float along in that cosmic current. “Stay with me / All will be revealed” Courtney promises on “Crime”, fully aware that those answers might not come from within. He’s putting his vote in but leaving it up to the universe to decide. These discoveries aren’t extraordinary by themselves, but Real Estate’s ability to communicate them is — the band has a majestic way of seeking wonderment in the mundane, of expressing how the familiar feels strange, even of expressing the feeling of not being able to express yourself. 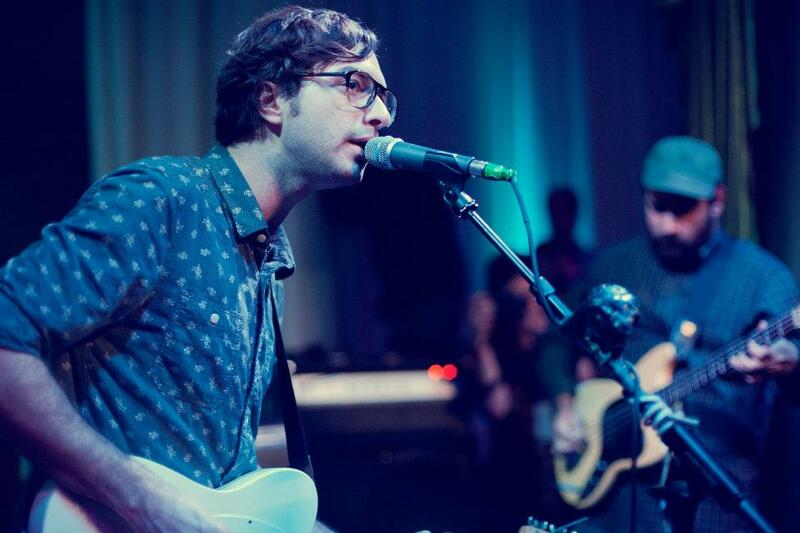 Is Real Estate’s ethereal sound a reflection of their easy-going nature, or is it the other way around? Does is matter? 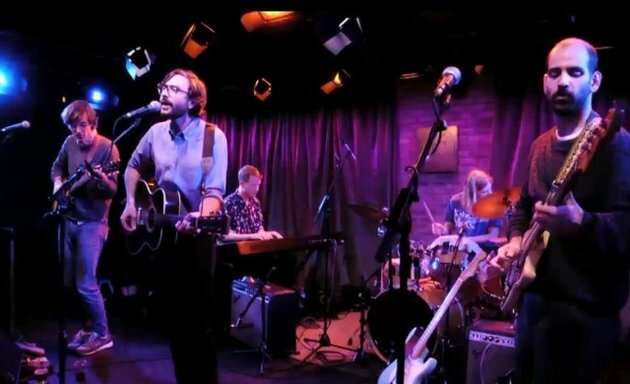 Both qualities were on display recently when Real Estate performed a show at a Chinese Buffet Hall in Queens because a trusted show promoter recommended the venue, and, as the band noted matter-of-factly, “he lives really close”. That same neighborhood is one of Real Estate’s old haunts, the kind that Courtney recounts in “Past Lives” as “not the same place I used to know but (one that) still has that same old sound”. It’s the sort of place for quiet epiphanies — those beginnings that T.S. Eliot said you would return to as an adult and see for the first time. Real Estate’s blend of workman-like indie pop somehow feels right at home between the wood-paneled walls, Anchor Steam empties, and dumplings. It’s modest, unassuming, yet exceptional — characteristics of a life well-lived as it so happens. Album closer “Navigation” suggests that the title Atlas is about the tools we use for finding our way (something Real Estate is doing, gloriously, by the way), but perhaps there’s a hint of feeling the weight of the world on their shoulders. If Real Estate do, they answer the bell with quiet determination and enviable poise. This album seems like a gentle shrug, but it’s far more. The most artful act of strength is making what you do seem effortless. 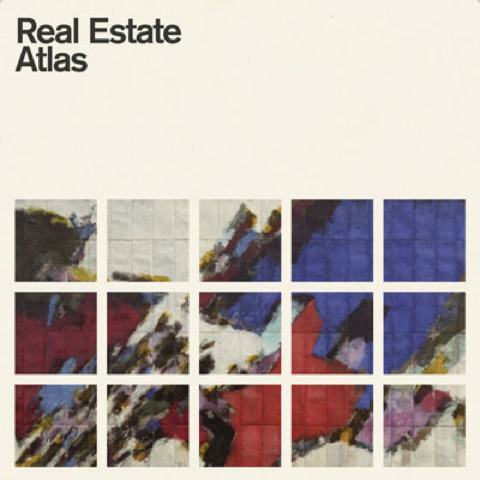 This entry was posted on March 3, 2014 by Jeff Goodwin in Real Estate, Reviews and tagged Atlas, Had to Hear, Past Lives, real estate, Talking Backwards.